The Ken’s is a creative multi-purpose theme with an amazing fast back-end and graphics that are absolutely impressive. The Ken is specially designed for creative people who would like to showcase their works online. This premium WordPress theme is easy to set up and comes with functional features. Its powerful admin panel ensures that technical issues will not get in the way in revealing your creativity in building a stunning website. The Ken’s has a retinal-quality resolution to exploit the beauty of your design and make it look even more beautiful on most advanced mobile screens out there. Moreover, its developers made sure that the layout, short code, sliders and all other elements comply with the highest responsive standards for WordPress themes. Its high-speed back-end is armed with powerful admin panel and incredible Drag&Drop Page composer. This multi-use theme comes with a superior interface, loads of useful templates, brilliant Edge Slider, various header styles, cutting-edge Woo-commerce shop and dazzling animations. All of these astounding features are geared up to create a modern website in a flash. The Ken WordPress theme recently updated its overall framework with bbPress compatibility and design integration. Omega is well-known for its flexibility and responsiveness. This multi-use theme allows you to create a website without much effort. It includes a visual composer plugin that enables you to create spectacular pages with ease. It also comes with a child theme that makes theme customization really trouble-free and update proof. Its Woo-commerce plugin integration allows you to sell products online. Moreover, you are free to install forum in your website because Omega is built with bbPress integration. Omega is designed by developers not only to look good but perform efficiently on any handheld device, too. This multi-purpose theme is incorporated with powerful admin panel to facilitate easy site customization and offers unlimited options to create stunning pages. 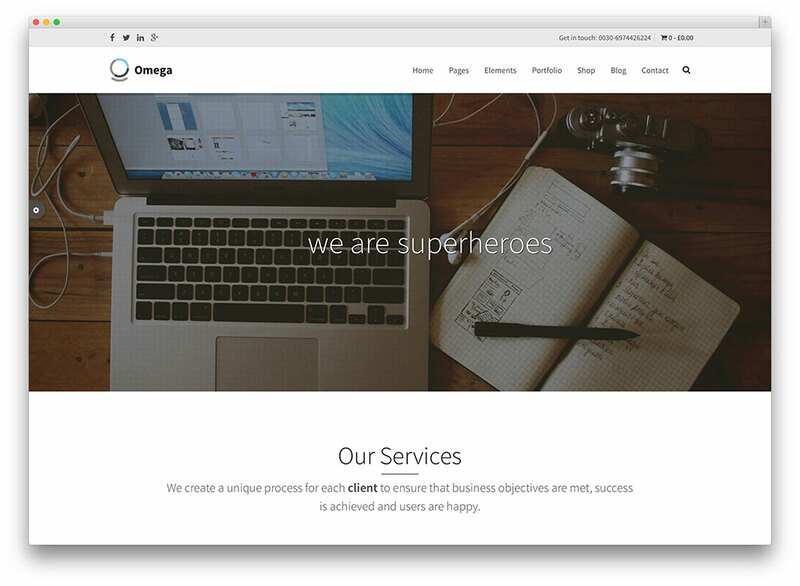 Omega is retina-ready and comes with amazing features like custom mega menu, huge selection of admin options, unlimited web font, layer slider WordPress plugin, translation ready and responsive layout. Osage is a versatile magazine theme with bbPress Support! This multi-use theme can be employed for a variety of news, other than sports teams or leagues. Now, you can boost your page views and ad impressions using post/ page slideshows. It comes with Menufication, a feature that provides your website a Facebook-like fly-out navigation that works well on any handheld devices. The theme is fully responsive, retina-ready and includes three different ad units, including a custom wallpaper ad. 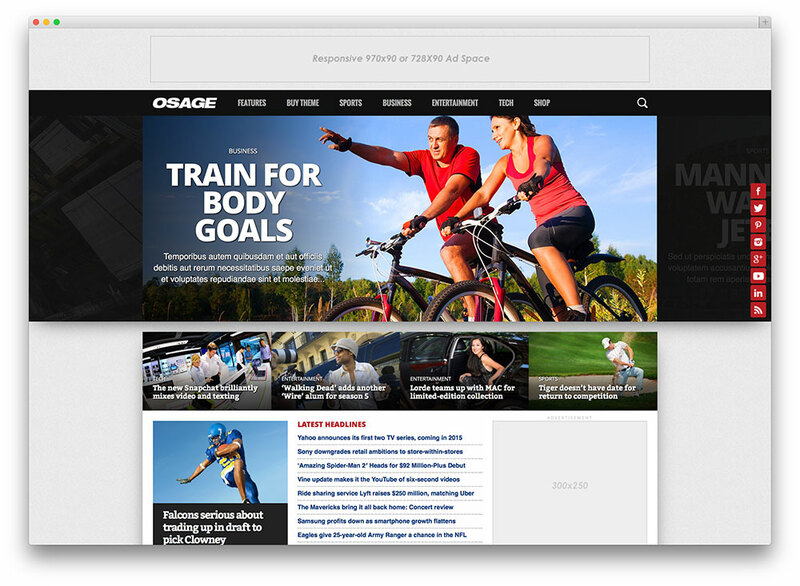 Osage also allows you to set up an eye-catching online store with Woo-commerce. It has a well-built support for bbPress, a plugin that allows you to integrate a forum to your site. It also comes with other fantastic features like drag&drop page composer, dynamic social sharing buttons, featured headline on your homepage, custom-built scoreboard, has infinite scroll option, custom color picker and sticky navigation. 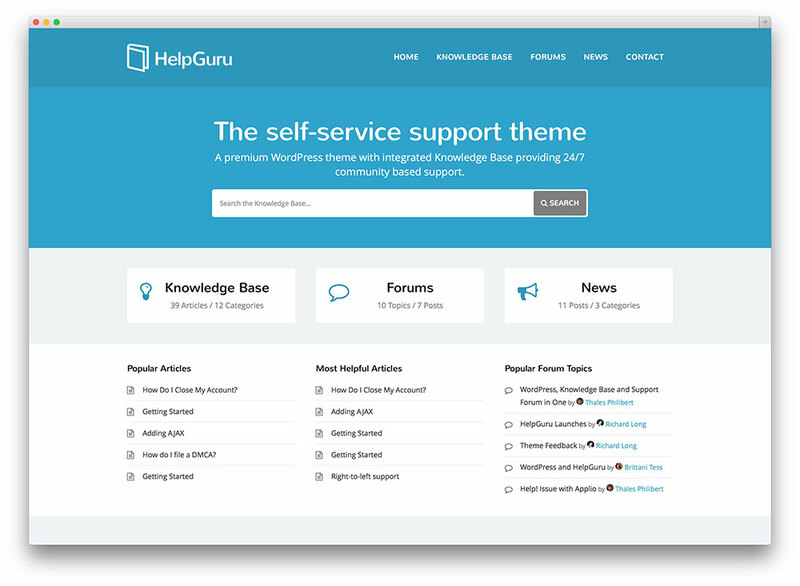 HelpGuru is a clean and modern knowledge-base theme that has been created to help you support your products or services in style. 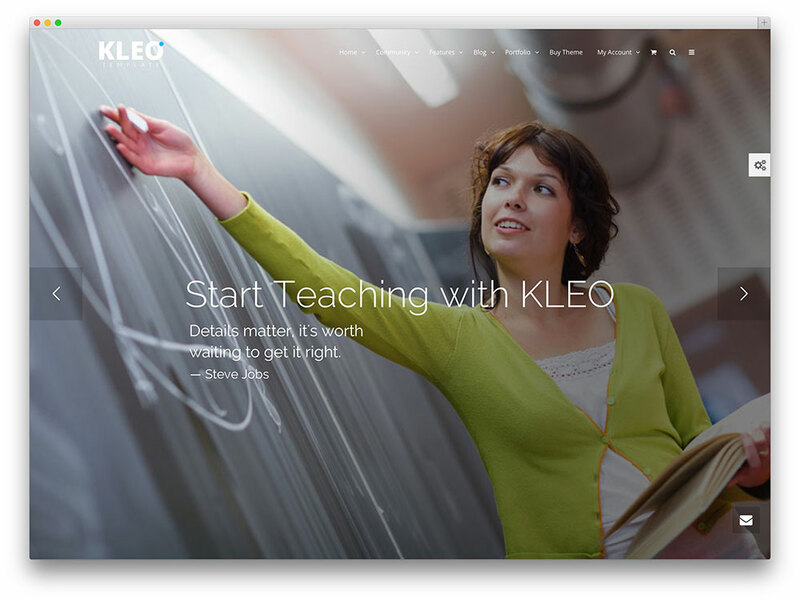 It’s useful set of features combine to provide an amazing framework for building an interactive knowledge-base website. Content can be easily organized using its drag & drop system. Visitors can rate articles, giving you feedback on what content your users are finding the most useful (or the least useful). Adding attachments and downloadable files to the articles is a breeze, and the live AJAX search feature improves the user experience by eliminating unnecessary page loads. When it comes to setting up your website using the HelpGuru theme, the live customize that is part of WordPress can be used to get a live preview of the changes you make to the site. This theme is fully integrated with bbPress plugin to help you easily add a discussion forum in your website. Nice selection. I like the Osage. At thhis moment I am going to do my breakfast, afterward having my breakfast comimg yet again to read additional news. always i used too read smaller posts that as welll clear their motive, and that is also happening with this post which I aam reading here.